It’s more difficult for your prospects to pull the trigger on a deal, and a glut of information and decision-makers is to blame. A recent LinkedIn survey found that more than 50 percent of tech buying committees consist of at least four people. The average B2B sales cycle lengthened by 22 percent in a span of 5 years because there are more decision-makers involved in the buying process, according to SiriusDecisions. This is a challenge for sales leaders. 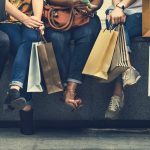 How do they coach reps to speed up the sales process? How can they instill more confidence in their buyers? Increasingly, customer testimonials — in the form of compelling customer reviews — is becoming paramount. Real experiences expressed in honest reviews is always signal, regardless of how much noise exists. For the third year in a row, our customers ranked InsightSquared #1 for customer satisfaction in G2 Crowd’s Business Intelligence Platforms Grid Reports. The reviews of several hundred users boosted us into the high performer spots for the Full Grid, Mid-Market Grid and Small Business Grid reports, and users awarded us the most Usable Business Intelligence Platform and the Easiest Business Intelligence Platform to Implement. G2 Crowd also named InsightSquared a leader in its first ranking of the Sales Analytics Software Grid. The significance of these awards comes down to the value every company, including InsightSquared, places on the voice of its customers. G2 Crowd reviews are read by nearly 900,000 buyers each month, and they loosen the gridlock so sales ops pros and leaders can feel more confident in their purchasing decisions and make them faster. Learn more about why our customers love us.